Jubilee: a special anniversary; especially a 50th anniversary. Originally from the Hebrew yovel, the jubilee was a year of emancipation and restoration, celebrated every fiftieth year, with the emancipation of slaves. The jubilee year was proclaimed by the sounding of the shofar, the ram’s horn, the yovel (originally meaning ‘bellwether’), which also has lent its name to Yoval, “father of all who handle the harp and pipe” (Genesis 4:21), i.e., the Biblical father of music. 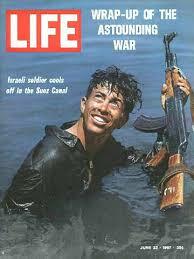 The Jubilee Paradox is that the victorious Six Day War led Israel to occupy millions of Palestinians. Already in 1968 Ben Gurion said he preferred peace to occupation. 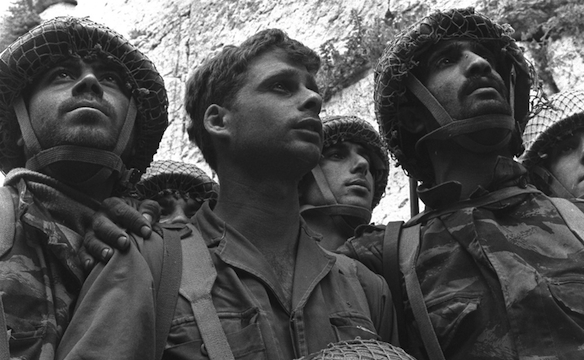 June 5-10, 2017 will mark fifty years since the Six Day War, in which Israel in a sweeping surprise victory defeated Egypt (UAR), Jordan and Syria, after Egypt had mobilized along the Israeli border, closed the Straits of Tiran to Israeli ships, and Israel was threatened by invasion of Arab forces. And while Israel has withdrawn from Sinai following the peace agreement with Egypt, from 40% of the West Bank after the Oslo agreements, and unilaterally from Gaza, Israel still holds on to 60% of the West Bank, pouring in money to settlements, even beyond the settlement blocs along the so called Green Line, which will remain Israeli, possibly following land swaps with the Palestinian National Authority. Occupation, now in its fiftieth year, will have to come to an end, for the sake of both Palestinians and Israelis. Occupation keeps both the occupied and the occupier captive in a condition that tears up the social fabric. In a complex condition, which I have called ‘within boundaries and without’ (The Hero and His Shadow), the geo-political and social circumstances intrude upon the psychological fibers of the individual. In the jubilee year, the time has arrived to set the slaves free, which includes a majority of the Israeli population, which is ready to withdraw, does not want to rule over another people, but with hard work not only keeps Israeli society going in hi-tech and culture, but pays for the settlement project that many of them oppose. 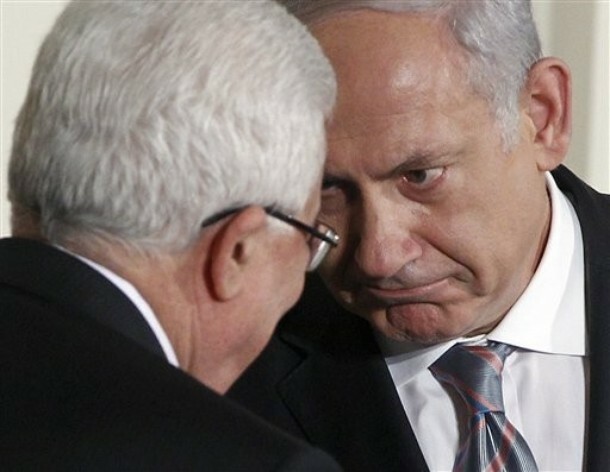 I pray I am wrong, but I doubt the "master dealer" will succeed where his predecessors failed, and bring the Israeli Palestinian conflict to a viable solution. Update: In a conversation with Congressional aides, end of July, which was recorded and leaked to the website Wired, President Trump's senior adviser and son-in-law, Jared Kushner - "tasked with criminal justice reform, updating the government's technological systems, and creating peace in the Middle East," (Wired, Aug. 1, 2017) expressed hesitancy at the United States' ability to broker a peace deal between Israel and the Palestinians. read more. Maybe more is required than hubris and arrogance? Trump may perhaps be able to bring the partners to fake negotiations, all of them concerned with appearance, ‘the greatest show,’ but viable peace requires more substance than these partners are able to provide. None of them can provide the minimum of the other side’s demands. Mahmoud Abbas (Abu Mazen) does not trust Netanyahu, for good reasons, and is himself equally reluctant, since he is not likely to accept a demilitarized Palestinian state alongside Israel without any further claims on the Jewish state. There could be a certain possibility of partial success if the strategy is changed to an incremental process of mutual small steps. Yet, stalemate inevitably leads to the eruption of violence (even though negotiations do not guarantee quiet – the terror instigated by the Palestinians during the Oslo negotiations should not be forgotten or denied). In the likelihood of failed negotiations, it is up to a united Israeli opposition to present an alternative plan. Considering the locked situation, the initial issue on the agenda would be unilateral withdrawal from civilian occupation. a. Withdrawal from civilian occupation beyond the self-defined temporary border, and beyond the big settlement blocs; i.e., from close to 90% of the West Bank. Relocate the many small and scattered settlements - in which a minority (about 20%) of settlers reside, to inside the security fence, i.e., the self-defined, temporary but distinct border, preferably by offering compensation for voluntary relocation. 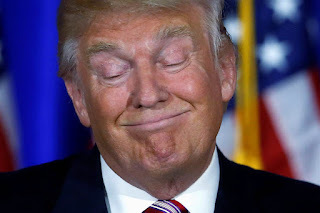 c. That is, unilateral civilian disengagement and withdrawal from occupied territories beyond the security fence, but negotiated step-by-step military withdrawal, with increased Palestinian security responsibility in those areas added to its sovereign territory. Thirdly, in the long run, in order to ensure viability, low-level confederative frameworks of cooperation can be conducive, encompassing Gaza-Israel-West Bank/Palestinian Authority-Jordan. The critical issue at this time is withdrawal from civilian occupation beyond the big settlement blocs (located along the cease-fire lines), while incremental withdrawal from military occupation can only take place with incremental agreements, based on mutual give and take between the two sides, backed by framework support by the larger Arab and international community. "The Hero and His Shadow: Psychopolitical Aspects of Myth and Reality in Israel puts Israel’s recent history on the analyst’s couch with a particular focus on the intertwining development of individual and collective identity in the Jewish state. It traces its vicissitudes from the absorption of the self within the idealism of the Zionist pioneers through a process of social and psychological maturation, eventually achieving what are likened to firm ego boundaries in the relationship between self and other, who, in the politics of the Middle East, is often seen as the enemy. 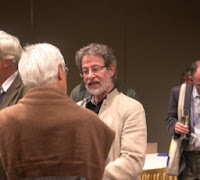 For me, it was a particular challenge and pleasure to read this book since, as an American Jew who is on a path of discovery about what it means in my life to be Jewish, there was a great deal here that I found new and challenging. I imagine that others with greater familiarity with the Jewish state and its history will be more familiar with much of the story but perhaps still find fascinating the ways the author is able to make use of a Jungian perspective to deepen the narrative. 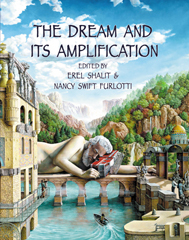 Shalit offers an anamnesis that highlights the formative influences of image and mythology that infused the Zionist founders, tying them to the redemption of the desert lands in a socialist society passionately embraced along with a vision of a peaceful life with Arab neighbors. 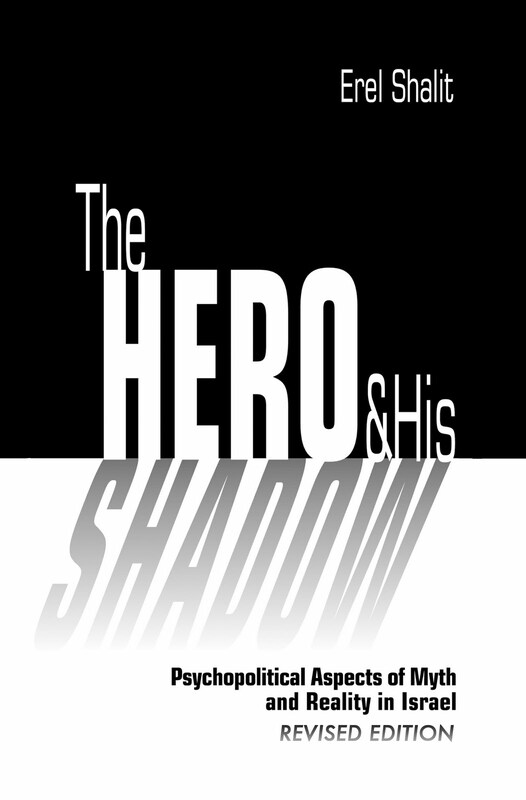 The Hero and His Shadow offers an intelligent, sensitive, humanized perspective on the trajectory of events that led to the current tragic situation in the Middle East so specifically detailed in Ari Shavit’s recent book, My Promised Land. 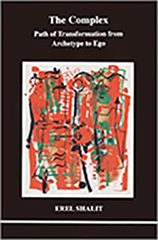 Shalit’s analysis reflects a skillful blending of the inner psychological and archetypal dimensions of the problem without collapsing it into a homogeneous whole. He couples this with a particular sensitivity to the human cost and ethical failure of losing contact with the suffering face of the other, a theme which is also taken up in My Promised Land. 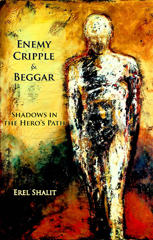 The central theme of Shalit’s book, however, is more psychological, focusing on the relation between hubris and nemesis, grandiosity and limitation, the projection of evil and the suffering of one’s own imperfection. He then adds what I find to be an example of the kind of honest and grounded, practical observations throughout this book: that giving up force may be the result of a “misreading of the other.” In this light I find Shalit’s approach to be realistic and even-handed throughout, courageously and truthfully demonstrating the psychological underpinnings of militarization and religious fanaticism on both sides, the impact of the broader social and historical forces on the psychology of individuals and peoples, and the necessity for all sides to withdraw projections and wrestle with their fears and insecurities. 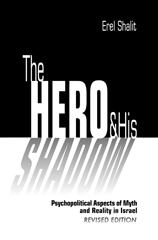 There is a loss of relatedness for zealots on both sides of this conflict, each of whom are caught in destructive processes of splitting and projecting shadow onto the perceived enemy. I particularly appreciated the emphasis on the need to transform the masculine warrior hero ideal to a more related, feminized Eros. 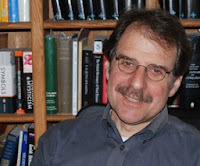 In one section where he discusses the yearning for a strong leader by Israelis and Palestinians who are gripped by terror and the tendency to see the world in terms of polarized opposites, Shalit comments, “peace…poses a threat to those who identify with the quest for grandiose wholeness and totality, in which there is no room for the other.” I could not help thinking at the same time about the current situation in American politics where there is so much polarization and such limited capacity on the part of many to see self and other as part of the civic whole." From a review in Spring Journal by Steve Zemmelman.